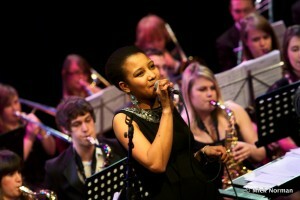 Big Band and Concert Band will take it Nice ‘n’ Easy next Friday | Music Matters | Because it does. Doesn't it ? There’s now just one week to go until the annual roof-raiser at the Gulbenkian with the University Concert and Big Bands, on Friday 10 February. Starring in the concert will be second-year Music Scholar and jazz singer Ruby Mutlow, who’ll be familiar to those of us who went to the concert this time last year, as well as to those who chilled out at various Jazz @ 5 sessions, and the Big Band Gala in the summer term. Possessing a characterful and wonderfully graceful voice, Ruby will be joining the Big Band for a selection of vocal pieces. In the first half, amongst other pieces, the Concert Band will explore selections from Wicked,whilst music in the second half from the Big Band will include Duke Ellington. Conductor Ian Swatman is his usual unflappable self so close to the gig, and he’s looking forward to his usual banter with the audience, perhaps the occasional reference to a certain Northern football club whose fortunes lie close to Ian’s heart, and maybe one or two surprises as well. 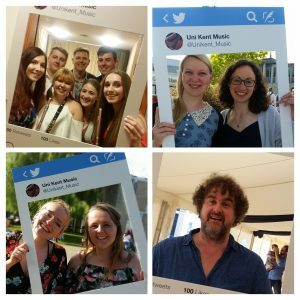 The concert starts at 7.30pm, and there’ll be live music in the Gulbenkian Foyer from 6pm with a selection of a cappella vocal groups and instrumental jazz. Details online here: tickets are disappearing fast!